Today is a special day, just now ask me how? Because today we are going to talk about Harsh Agarwal and his blog ShoutMeLoud. Do you know who is Harsh Agrawal? Harsh Agarwal is a professional Indian Blogger and his popular blog name is ShoutMeLoud. I think that you can feel some difficulty with these words like- Blog, Blogger. So don't worry, I just tell you. If you already know, that's great and could skip below steps. I'm going to describe it in short words. A blog is one type of web page and its need to do update regularly basis. It is written by peoples or small groups. In another way, we can say one 'website'. So here ShoutMeLoud is one blog or website. Very simple, a person who writes on the blog regularly and writes in a conversational style. That's called a blogger. And here Harsh is a blogger. So friends, I hope you understood. Now let's get started our interesting blog post from here. Fact- Harsh Agarwal is an Indian professional blogger. Fact- His famous blog name is ShoutMeLoud which is very popular today. Fact- He is one a biggest young entrepreneur in the world. Fact- He manages an award-winning blog known as “ShoutMeLoud”. Fact- Harsh belongs from New Delhi, India. Fact- You know friends, Harsh Agarwal's age is 31 years old today. Fact- He has one personal blog that name is Denharsh. Fact- His childhood school name was a Laxman Public School. Harsh completed his primary education since here in 2004. Fact- He is a B.Tech graduated student. Fact- Harsh graduated from engineering in 2008 from the Sharda University. Fact- Harsh is an engineer by education and a blogger by his passion and profession. Fact- He used to do work at Convergys (a call center) first in Gurgaon. Fact- He left his full-time job at Convergys in April 2009. Fact- He has been blogging since 2008. And now it's 2018 going on. 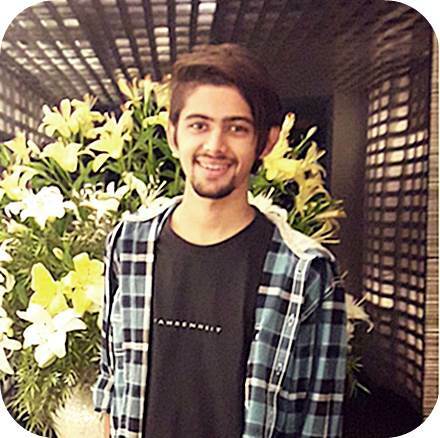 Fact- Harsh was extremely attracted and interested in a computer when he was one curious kid. That's why he decided that opting Computer Engineering as his attraction. Fact- When Harsh entered the Internet at that time he was wasting his precious time on social media network sites like Facebook, Twitter etc. He chats with friends, and later on, finally he started some blogs on Blogspot platform that was all his hobby blogs. Fact- When he started a blog on Blogspot platform, then his blog was receiving quite great responses from his readers. Fact- Next after 2 months, his blog was shifted into the WordPress self-hosted platform on 1 December 2008. Fact- You know what Harsh initially started blogging as a hobby and in the beginning, he was a hobby blogger. Fact- But soon hobby blogs turned into a passion and later it is changed into one big profession. Fact- When he had hobby blogs that time he used to share articles on knowledge, technology, and hacking topics. Fact- Harsh got his first computer in 2005. Fact- At the beginning of ShoutMeLoud, you know friends Harsh don't have money. Then he decided to borrow money from his friends. Fact- He borrowed money and credit cards from his best friends and later on, he purchased a domain and hosting services. Fact- Friends, you know the first income was $10 of Harsh. How Did He Get His First $10? Fact- Okay, someone had an SEO related issues with the google webmaster tool. And Harsh had a fix that problem in the past time, and then he got his $10 first. This was a first online UNBELIEVABLE income of Harsh. That was a splendid moment. Fact- That time he was extremely excited and proud. He even said his all friends I made money online. This was a proud and amazing moment of Harsh's life. Fact- Harsh works on his blog around 8 hours every day. You know friends it is the average time, but sometimes it goes to working 14 to 16 hours non-stop. Fact- Keshav Gupta is a school friend of Harsh. Fact- When Harsh Agrawal's had an accident in 2009, it was very painful. Just after the next day was his birthday. 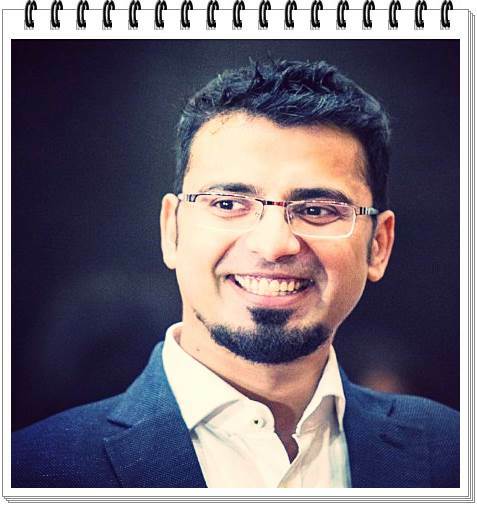 Harsh says that ''my accident happened after my birthday, it was a life-changing moment"
Fact- ShoutMeLoud domain was created on 30th November 2008, and next day 1st December 2008, ShoutMeLoud went live on the Internet. It means that this is 9 years old blog. Fact- When he was entered in the blogging industry, around within 4 months, he realized what is actually meant of blogging. He was earning almost $550/month, means (35000Rs/monthly) in that time. Harsh says that which was double my salaried job at Convergys company. Fact- You won't believe that when ShoutMeLoud started that time within 6 months of blogging. Harsh was making almost $800 to $1000/month after he opted blogging as a journey. That was an amazing moment. Fact- Harsh faced many problems while writing the English language first. He tried to improve himself and gave his best. He had read tons of blog posts before entering the blogging field. Fact- Google is a top traffic source for ShoutMeLoud. Fact- He is making money around thousands of dollars every month from his online blogs. Fact- The turning point came in his blogging career in June 2009. When he decided to join Accenture or continuing blogging as a career. I think Harsh is glad that listen to his heart and opted blogging. Fact- He is a learner as a blogger. Fact- A good habit of Harsh is that he learns new things every day, it's a beneficial part of the blogging industry. Fact- He was worked with many freelancers in the past time. Fact- Harsh has 3 full-time employees and the rest are freelancers right now. Fact- ShoutMeLoud is one of the most popular blogs in India. Fact- The main focusing blog of Harsh is ShoutMeLoud. Anyone can start blogging on this blog and make money online. How to create a blog and make money online. Fact- Harsh says that blogging is not considered a great business in India. Fact- That's why the big dream of Harsh is increasing the power of blogging in India so that many people can earn good amount of money and live their life better like Harsh. Fact- He says that you can opt for it as a beautiful career option and easily make money online. If you do not believe me, you can see me. I'm the one living proof who is working on it. Fact- He shares all his techniques and ideas that helped him to make over $45000 a year. Fact- The ShoutMeLoud blog for those peoples who believe that they can work from home and earn good amount of money online. But you need to be pretty serious about it and PATIENCE is a more important part. Fact- The anniversary date of ShoutMeLoud is 1st December 2008. Fact- He loves to travel to many new places, he likes to photography too much and last Harsh likes to learn new things which are needed for blogging. Fact- Harsh was working for Convergys (it is the IT company) in Gurgaon and he decided to opt blogging as a career and his profession in 2009. (IT Company) for only $300/month salaried job in between April-July in 2009. Fact- When Mr. Harsh Agarwal started blogging in 2009, he faced plenty of problems at that time. Fact- The main problem was social media. It was not so popular term in that era and blogging wasn't a widely accepted job till that time. But now there are many ways to promote a blog post on Facebook, Twitter, and Youtube etc. You know that time competition was zero, it was a very good opportunity for Harsh. Fact- When he came into this field, he had no any idea and any experience about how to run a business. Because Harsh was very young B.Tech graduated Engineer and he was in a big dilemma at that time. Fact- Before opting blogging/online marketing, he discussed with his family, friends and taking advice from many professionals. Then later he finally decided that listen to his inner voice and heart, and opted for professional blogging as a career. Fact- You know friends what mistakes did Harsh often make? He didn't ask for help. Harsh says that one of the silliest mistakes which I used to make was not asking for HELP. But now he's completely changed. Fact- He says that I was one silent learner and reader, and was shy to ask for help. Fact- You already know life is one a big adventurous game. That was a time when Harsh was very scared. We can say it in another way, that was a quite scary moment and worst moment of Harsh Agrawal's life. Fact- The biggest reason was a Google Panda Update. Fact- When Google Panda Algorithm was updated. ShoutMeLoud lost almost 50% of Google search traffic and blog ranking. Every blogger knows this well, what's the disadvantage of losing 50% organic traffic. It was the Worst moment. Fact- Harsh was worried about his future of blogging; like what should I do or not next. It was a very horrible moment for him. Fact- Then he decided that I need to do work hard. Sometime later, he started working day and night without any given breakpoint. Fact- You already know that our hard-work never gets wasted. Therefore Harsh worked hard for 2-3 months and his blog ShoutMeLoud recovered from the Google Panda Penalty. That was an amazing moment. His blog is going to higher rank right now since then. Fact- Do you know guys? How Harsh Agarwal used to keep motivated himself towards blogging? How do I want to see myself tomorrow? Fact- One motivation you should know of Harsh. Don't wait for a magic to happen, take proactive steps and experience the magic. Although this line is too short but extremely truthful. Fact- Harsh says that I will be always a student until my last breath. When you have a curious mind you always try to something new and special. Fact- His blogging career never became so boring ever. He always tries to keep something new and unique. Fact- One awesome tip Harsh has given us to keep moving forward in our life. That's personal and professional life, yeah, it's absolutely correct. He says that when we keep maintaining our personal and professional life, which helps us to keep moving forward. Fact- Harsh has one goal list and he tries every day to reach one step closer to his goal. You know friends, without any goals nobody can't taste success. So I think someone has a need for one life's goal and try to achieve it every day. Fact- According to Harsh Sir, mistakes are a part of life and everyone does it. But we should always try to improve our mistakes and shortcomings soon, and always try to fix them. Fact- Harsh has been able to earn good amount of money every month from their blogs around $30,000 to $35,000. Fact- He says that blogging is a SERIOUS work. If you are a newbie and want to make money quickly. So this platform is not suitable for you. Fact- Money would never come easily through blogging. But there is one secret to get quick success in this field. You know, what's that secret? Fact- Harsh says that you should follow the one way for getting quick success and make money online. When you will put more quality in your blog, the more money you will make. Fact- He said that if you are a newbie and want to earn money, then you should first make goals of making money and business strategies and then try to achieve it. Fact- As you can target like I'll make $100 this month and always try to close reach out your goals. Once you reach out that your goal. Next just think of making $1000 to $10,000. Fact- Do you know what is Harsh Agarwal's dream? 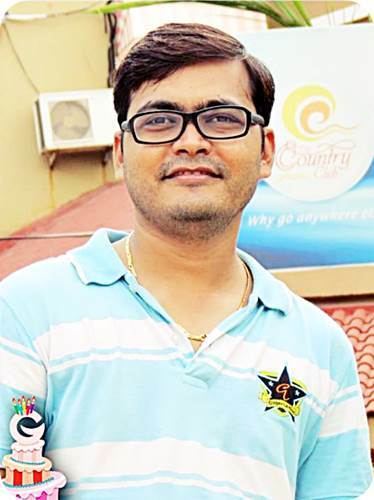 The dream of Harsh Agrawal is set up blogging as a career option in India. If we talk about western countries like United State, Brazil, France, Canada, Mexico etc. They are living their beautiful life through blogging, and we already know India is a place where the smartest people are living. Fact- Harsh has another dream. Harsh want to launch his one membership site and where users can find A to Z information, this special blog for those who want to make money online by blogging. Fact- Harsh favorite web hosts are Bluehost and Hostgator but this is just according to the business needs. Fact- The name of Harsh's wife is Shallu Agarwal. Fact- She is handling ShoutMeHindi blog. Fact- His another dream is that open an office and hire minded and talented people on there. Fact- Harsh has subscribed to many SEO Blogs and he reads. There are a few blogs which are Harsh regularly checking out and try to keep himself updated. Fact- His lovable blogs are Hubspot, SearchEngineLand, Moz and last one favorite blog is Upworthy. Fact- He gets really good contents/stuff from these above blogs list. Fact- Apart from these, you know he loves articles on BufferBlog, LifeHacker, which helps him to become a better human every day. 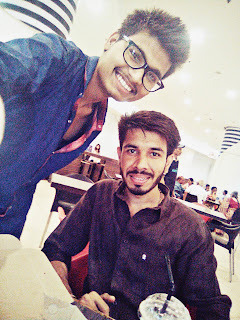 Fact- Harsh Agrawal likes many blogs, but most of them, he likes to Daniel Scocco [DailyBlogTips.com] because of its simple writing style. Fact- He loves to Darren Rowse [ProBlogger.net] for its detailed guide for bloggers. Fact- He likes to the digital inspiration of Amit Agrawal [Labnol.org] for his unique contents. Fact- ShoutDreams is India's first professional blogger company. Here you can find his all blogs network list. Fact- ShoutDreams is a professional blog network from India. Fact- ShoutDreams has 8 live blogs under the network. Fact- Some blogs are too much popular, and some of them are in the process of becoming popular. But they will soon. Fact- You know friends, Harsh has now 8 live blogs. You can see here all his websites list. Maybe you have seen before. ShoutMeLoud- This is a blog for all bloggers and as we know already he shares to make money online tips and much more on this blog. This is an award-winning blog. ShoutMeLoud Forum- Here you can ask any query related to the blog, SEO and much more, and solve your problems soon. Every blogger must join it. ShoutUniversity- Is a premium membership website. Here you may find some free courses and paid courses related to the WordPress web hosting, affiliate marketing, Google Adsense, WordPress and much more. ShoutMeHindi- This blog is in "Hindi" native language writing by "Gurmeet Singh" as Senior Editor. It is becoming a popular Hindi blog now. WpSutra- It is a popular website to learn everything about WordPress. This blog service will offer free SEO optimized for WordPress blog. Harsh shares his all WordPress experiences and tries to help newbies on here. ShoutMeTech- It is the best technology and Bitcoin blog. This blog was launched on 1st January 2011, means the new year day. Here you will find info related to Android, Apple, Bitcoin and much more. CallingAllGeeks- This blog for those who is a tech and gadget lover. It is a dedicated blog on Technology, Gadgets, Apple and Mobile reviews. This blog has been purchased from Harsh's friend some time back. It was begun in 2008. WpHostingDiscount- This is for WordPress web-hosting resources. Here you will know about WordPress hosting guides and tutorials. 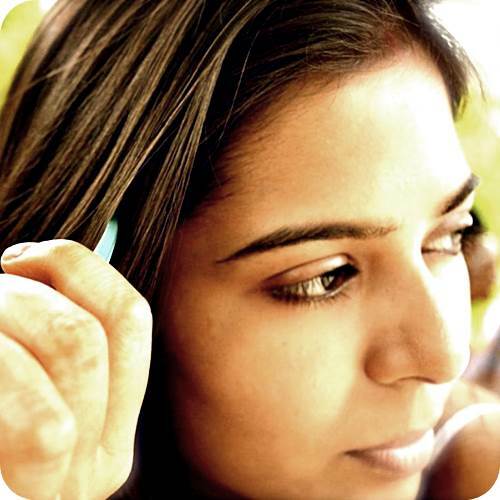 LetsTalkRelations- This website is started by Ruchi Parikh, and now is a part of ShoutDreams Network. As you can know by its name. It is a relationship blog. Here you will find topics about Relationship guide, Family relations and much more. This boy is Gurmeet. 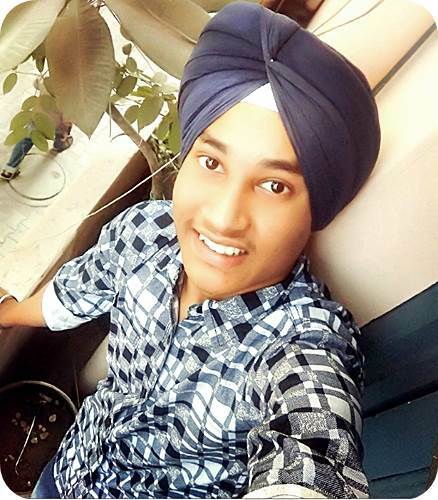 He joined ShoutMeLoud on 27th June 2015. He is managing ShoutMeHindi as a Senior Editor. He wrote many awesome articles on here. He has contributed content in Hindi and as well as English. 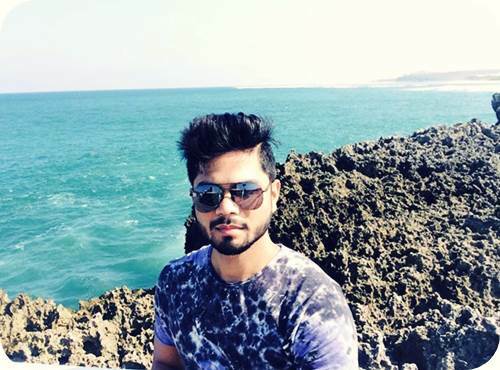 His work- Gurmeet makes videos for ShoutMeHindi's YouTube channel and managing ShoutMeHindi blog. This is Shallu Agrawal, She is Harsh Agrawal's wife. She has been working since past one and half years at ShoutMeLoud. She has written a few articles for ShoutMeLoud. Her work- She manages comments moderation and email sorting. She is also working at ShoutMeHindi. This is Chatty Sharma. He is from Chandigarh, India. He has been working with ShoutMeLoud for the past few months. His work- Now he is doing email marketing. All types of email you get from him. This guy is Sharat Nik and he is from New Delhi. He has been working for last 3 years at ShoutMeLoud. 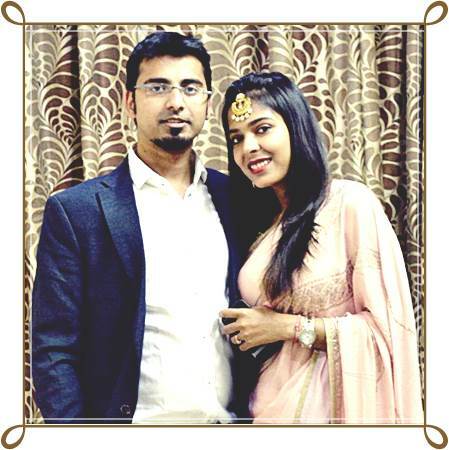 His work- Sharat manages site graphics and he creates a lot of images at ShoutMeLoud. You can see any post of images by him. This guy is Jimit Bagadiya. He is from Ahmedabad, Gujarat. He is the CEO of Creative Glance Technologies. He is constantly working on the app to make it more useful and user-friendly. His work- Currently, he is involved in the Android and iOS apps development work of ShoutMeLoud. Fact- ShoutMeLoud's global rank is 13,586 right now and Indian rank is 1,763. But it is not static. It's changing day by day. Fact- This traffic report is according to SiteWorthTraffic website. You can check it anytime. But again don't forget, it's not stable. It can increase or decrease. Thanks, BloggersPassion to give us little info. So friends, what do you think about this project? If you enjoyed it, then you may leave a comment here. I make sure you will like. Today we've learned about Harsh Agarwal and ShoutMeLoud interesting facts and I hope you would love it guys. Now let me know your thoughts and tell me what is your favorite blogger online? So that I can also know about him/her. I am requesting to you please share this material as much as you can with your friends. To get our new daily dose you may subscribe us and like us on Facebook. This guy is Harshit Raikwar. He has been working on this website since June 2017. He is a Professinal Blogger by his passion and from Bhopal (India). Hats off to your work and thanks for the information about Harsha. Thank once again. Thanks dear, visit again and keep learning. If You Really Liked This Article Then Now You Should Leave A Comment Right Now. Your One Feedback Would Be More Motivated To Us For Writing Awesome Articles Again Especially For You. This guy is "Harshit Raikwar". He has been working on this website since June 2017. 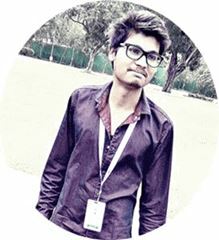 He is a Pro Blogger by his passion and from Bhopal (India).